Experience spa quality treatments & services with world renown “Pevonia Botanica” 100% natural with organic extracts and our famous Thai treatments in our authentic salon situates in the courtyard of Middleton Hall’s Tudor barn. We are so proud to be the winners of Tamworth Business and Community Awards 2017 and 2018, The British Hair and Beauty Awards 2018, Radio Tamworth Awards 2018, Pevonia UK Awards for Beauty Salon of the year and Therapist of the year 2017. We specialise in a wide rage of services from Facials, Microdermabrasion, Thai therapies, Massages, Lavashell, Holistics, Spa body treatments, Manicure, Pedicure , Waxing, Tinting and pampering packages. 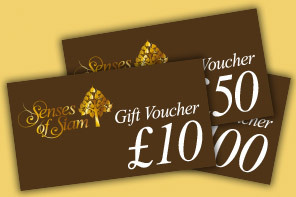 You can purchase gift vouchers. An ideal gift to give to someone special. Choose from £10, £25, £50, £75 or £100 for use on any of our unique treatments or luxurious products. Welcome to Senses of Siam. Your multi award winning authentic Thai salon offering first class treatments. Owned and managed by Pom Collins who has over fifteen years experience in the industry. To experience a truly authentic Thai beauty or relaxation treatment for yourself call 01827 286888 or use the link below. 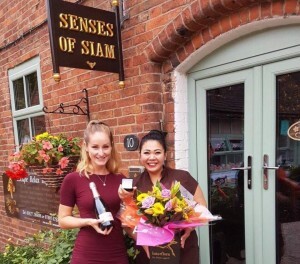 Senses of Siam is an oasis of calm in the busy retail square at Middleton Hall. It has a beautiful, evocative aesthetic and the atmosphere is wonderful. In the treatments, the therapists go the extra mile in terms of making you feel welcome and comfortable. The ginger tea is also a real highlight. Pom and her team display professionalism and friendly service, and have real talent and skill for what they do; all of the massage oils used seem to be high quality and smell lovely as well as moisturise thoroughly . You can see why this salon continues to win awards - well deserved and highly recommended. My facial treatment with Pom was very refreshing & relaxing as was my head massage. I would recommend her. 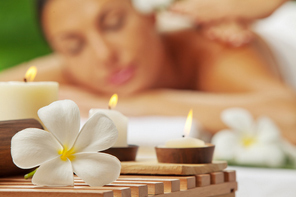 Body scrub & Holistic massage - A wonderfully relaxing sensation &beautiful aroma. My skin felt smooth, soft & supple for many weeks after. I was able to use the remains of the candle on my legs afterwards. Highly recommended. Thai massage - Truly beautiful, relaxing & peaceful and was very uplifted afterwards. A very relaxing time to unwind & breath in the exotic smells from the oils while having the massage which made me feel that I was far away. A wonderful relaxing pedicure treatment with the beautiful rose petals in the foot spa, making me feel especially pampered. The treatment itself helps me to feel glowing and ready for the summer. Pom's back, neck & shoulder massage are absolutely wonderful, I feel very relaxed and calm after having this treatment. Also the Indian head massage is very relaxing. I do have problems with my lower back but since coming to Pom, it has been pain free. Pom's friendliness & kindness is brilliant. I am very relaxed after all of my treatments, and I do recommend people to come and visit Pom. A truly relaxing experience in an extremely tranquil environment. It's just what's needed after a hard days work or for a luxurious treat, without the heavy price tag! Pom is an excellent practitioner whose gentle nature and firm touch makes your pampering an extremely restful occasion. From purely my health point of view, all the treatments I have had to relieve my back & neck problems have not only relieved them and resulted in better sleep and cured the headaches I used to get. The stones, Herbal compress and Pom's fantastic massage relax, rejuvenate and repair my poor old body! I am now a complete addict having treatments with Pom. She truly works wonders with her magic hands & friendly manner which puts even the most nervous at ease.